I hope you have all has an amazing week trying out some great recipes. This week is my all time favourite, chocolate cornflakes nests/cakes. It brings back memories of of when I was a kid making these. The best part was licking the bowl and spoon afterwards. 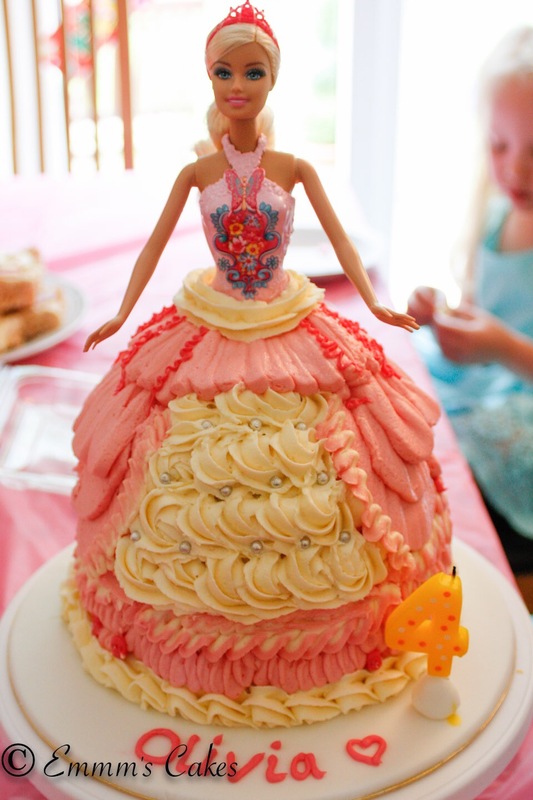 It is now my turn to show my little one how to make these. We all know these are so simple and easy to make so let’s get started! The Grown up’s part – over a simmering saucepan of water, melt the chocolate and butter together with the golden syrup, until well combined. In a separate bowl, weigh out the cornflakes. Add the chocolate mixture to the cornflakes and mix well with a wooden spoon. 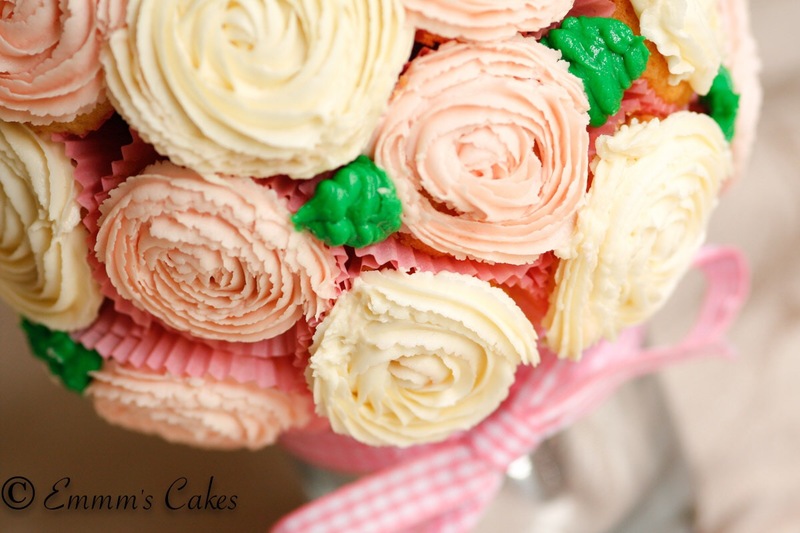 Using your hands or 2 desert spoons, scoop out mixture and put them into cupcake cases in a cupcake tray or baking tray. This is optional Using your finger, make a small hole to make a nest for the mini chocolate eggs. 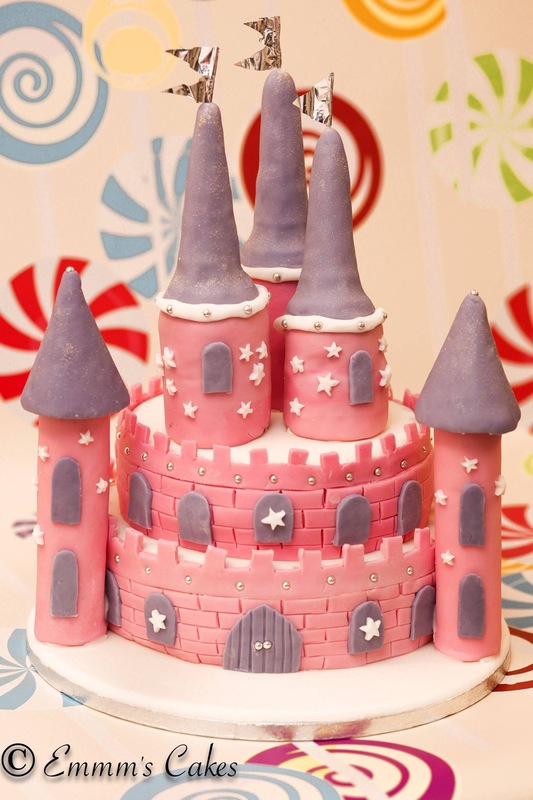 Each week I normally blog about easy to try recipes ranging from classic soft chewy cookies to making the perfect buttercream to top your cakes and cupcakes. 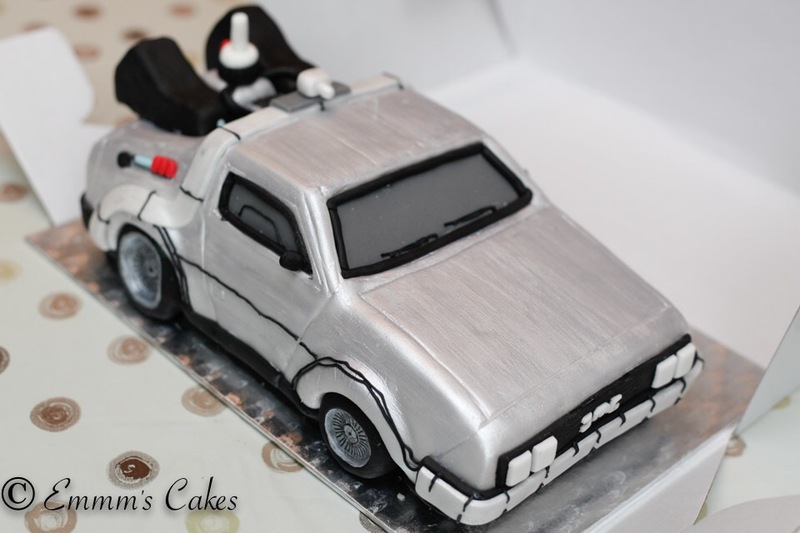 So I thought I would do a show case of my cake designs that I have previously made for clients. 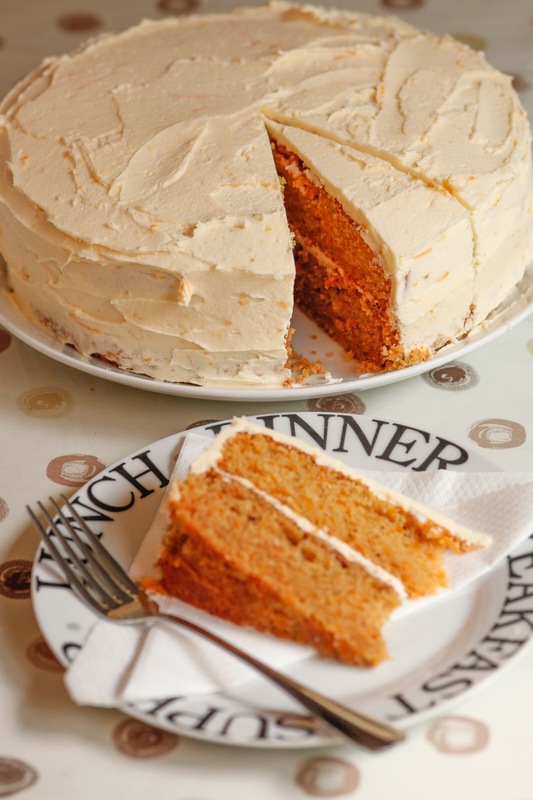 This week I’m going to let you into a big secret… How to make the perfect buttercream to top your cupcakes, cakes or simply as a delicious filling. 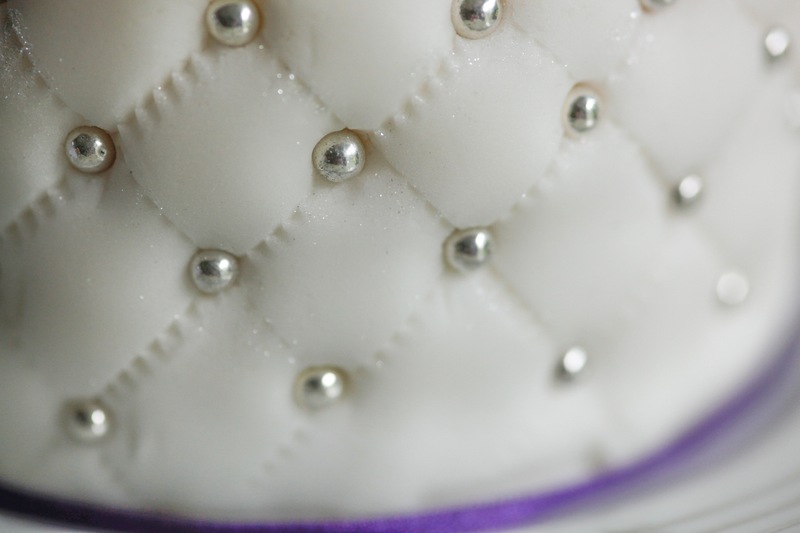 Ok so buttercream isn’t such a big secret, but I do get asked how I make it just perfect for piping and so tasty. To start with, I used a electric mixer with a rubber paddle attachment, I know that’s cheating but you can do this by hand, with a wooden spoon but you may find you have muscles like popeye by the time you have finished. Please do use real butter and not margarine, you will get such a better flavour and texture. Flavouring of your choice. My favourite is salted caramel. Cut room temperature butter into small cubes and place in mixer. Either beat with a wooden spoon or in the electric mixer until the butter looks a lighter colour, almost white. 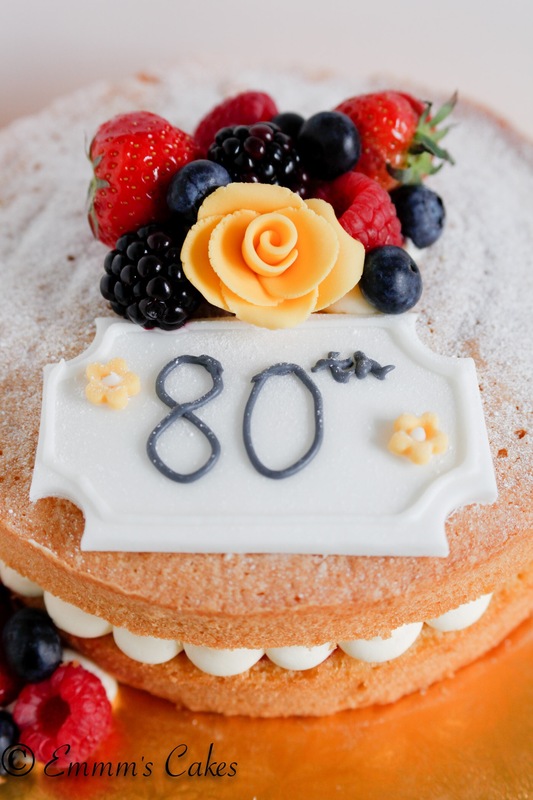 In a separate bowl, sift icing sugar, then add this a tablespoon a time into the butter, with the electric mixer on slow speed, until all the icing sugar is mixed in. 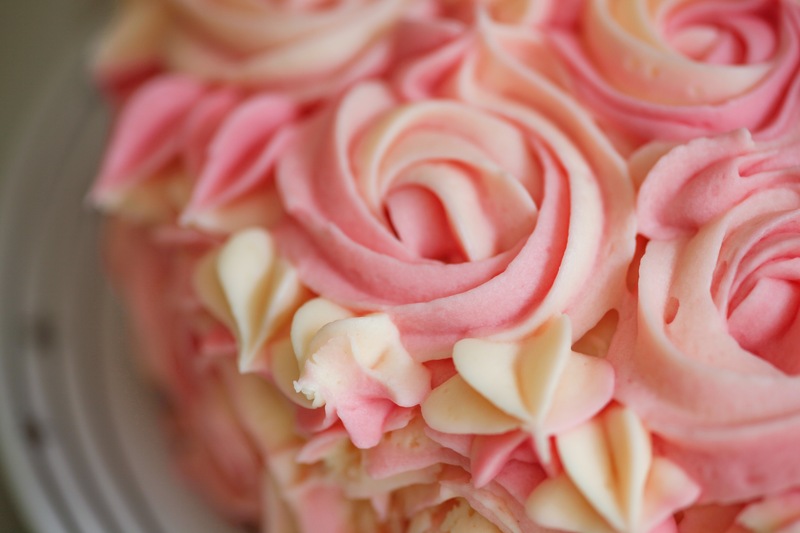 From time to time, you may find you need to add a small amount of milk to help loosen the buttercream. Do this by adding just a teaspoon at a time. Add flavouring to taste. With the salted caramel, I use a regular Carmel flavouring then table salt until I get the desired flavour. If using any colouring, mix this in now. Either in separate bowls if requiring many colours or straight into the mixing bowl if only one colour is required. 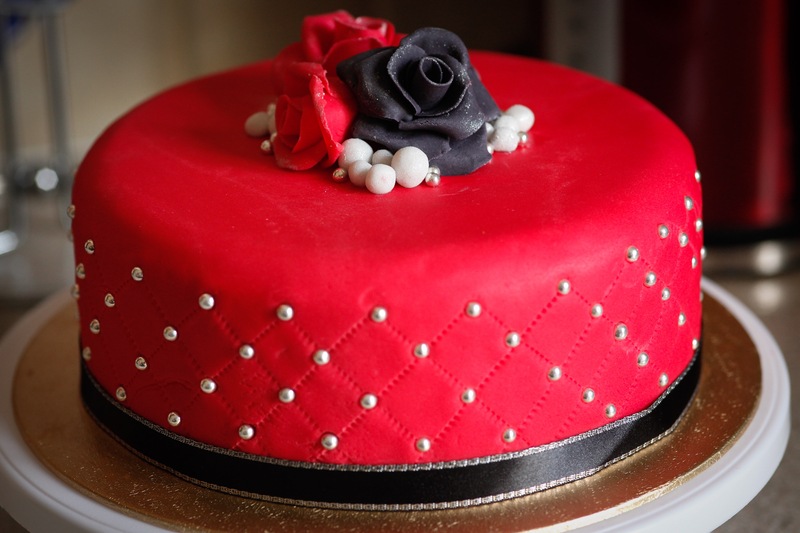 If you are finding the mixture a little too soft and it doesn’t want to hold its shape, pop the buttercream in the fridge for 20-30 mins. Then beat well again before using. 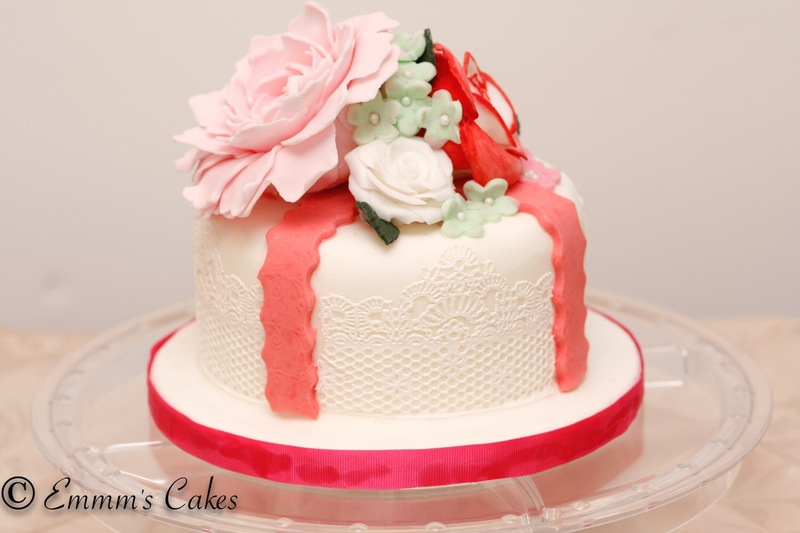 The brilliance of buttercream is that you can be so crative with it, it is so versatile. I brought this tulip tip recently and wow, it’s amazing and very clever. 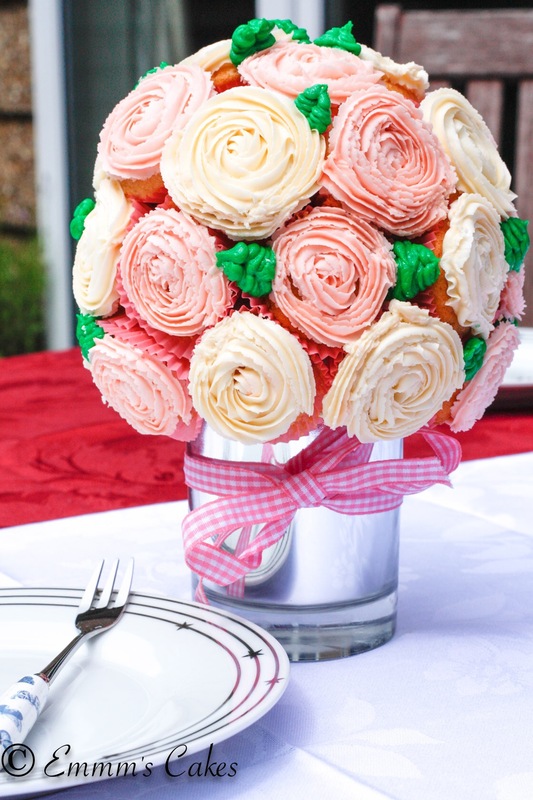 This is just perfect to make Mother’s Day cupcakes! 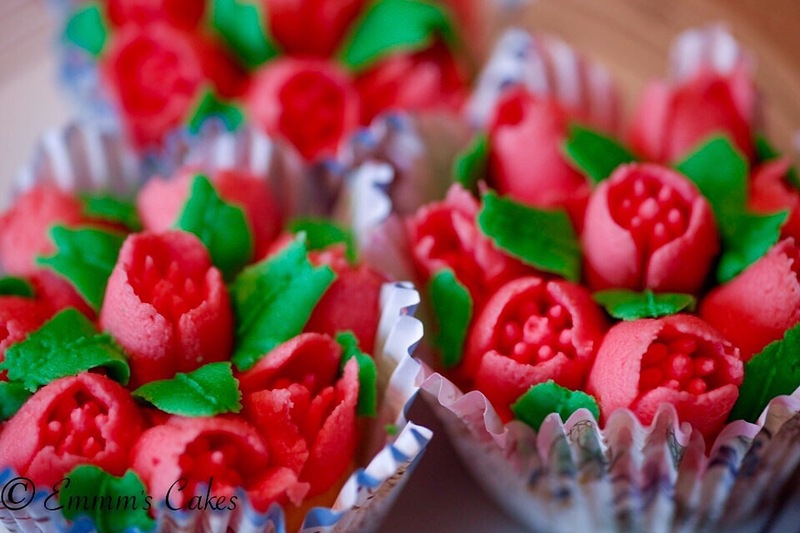 Or you can add a small shell of buttercream and ‘dunk’ into a bowl of coloured sugar. If you don’t have piping tips or piping bags, you could just use and freezer or zip lock bag with just the corner cut off to desired size. Doing this will create a smooth swirl. Hi and welcome to my blog, Scrummmy Friday’s. I hope you have all had a fabulous half term week and have experimented with some great recipes. If not here is one for you to try. 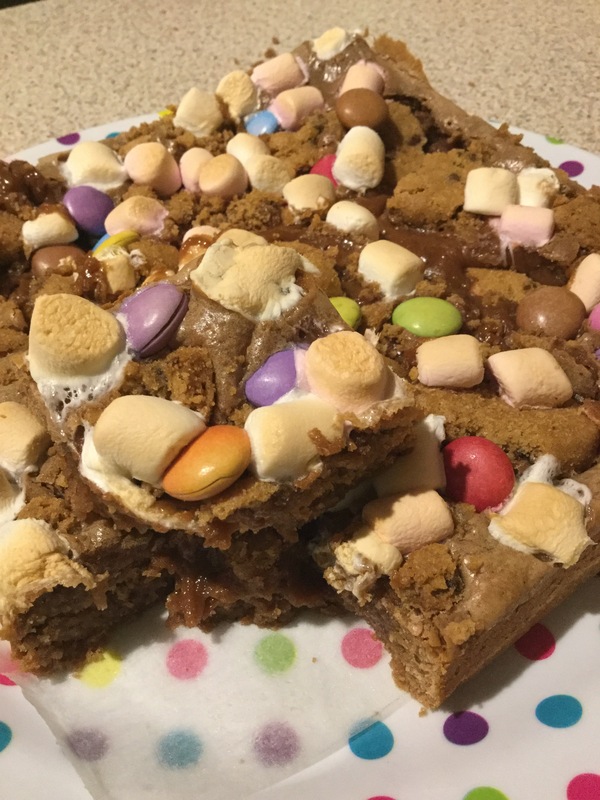 This recipe is great for kids to help with as it involves crushing biscuits with a rolling pin and scattering smarties and marshmallows! Pre heat oven to 160C, grease and line a 10 inch square tin. 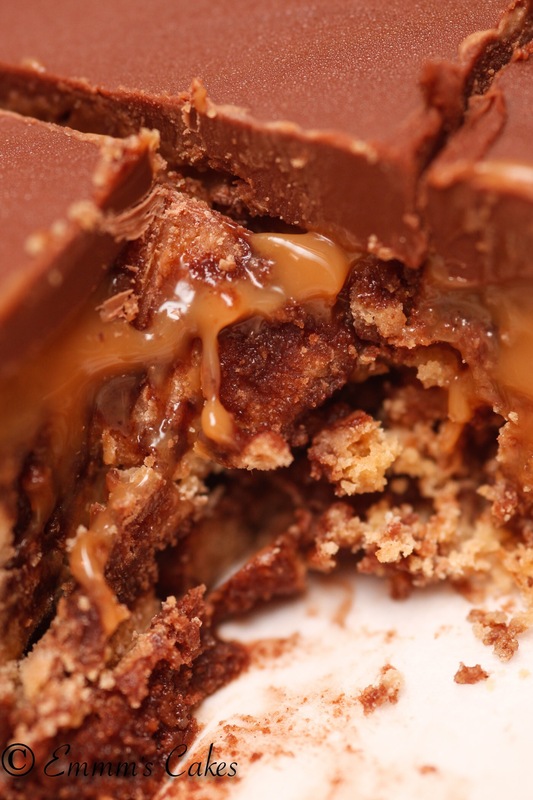 Using a heat proof bowl melt the chocolate and butter together over a simmering pan of water. Take 3/4 of your chosen biscuits and put them in a sandwich bag and crush with a rolling pin. 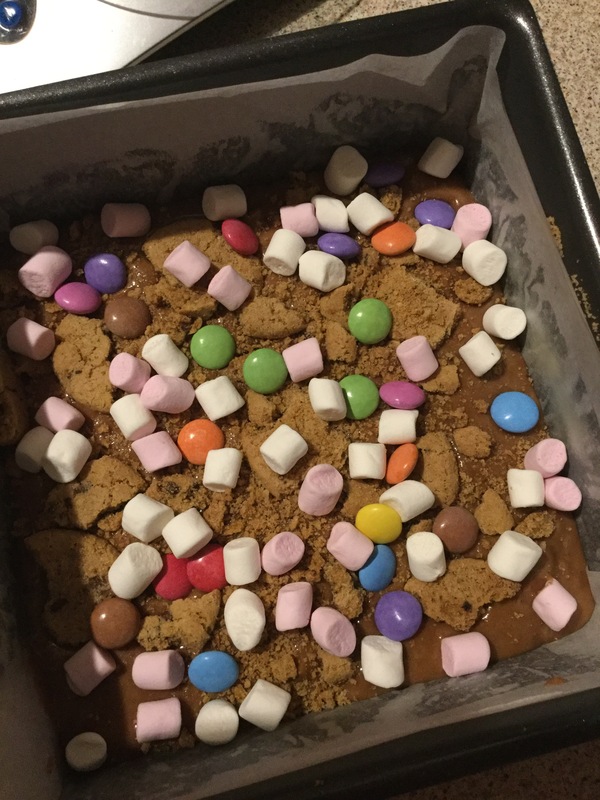 Crush lightly the remained biscuits and scatter on top of the mixture and lightly press down and top with smarties and marshmallows. Perfect with a mug of tea! Hi and welcome to my blog ‘Scrummmy Friday’s’. This week, I had the pleasure of being entertained at a very good friend’s house and naturally I brought cake to the occasion. My friend really likes peanut butter and chocolate combination. This inspired me to make peanut butter & chocolate muffins. Using a classic Marry Berry recipe, The American muffin, I made a few changes to create these gorgeously tasting muffins. This recipe makes between 9 – 12 muffins, depending on how big your muffin tin & cases are. Add wet ingredients to dry and mixed well. The mixture should have a lump consistency and be runny. Spoon into cases filling then quite full. Bake for 20-25 minutes or until well risen and firm to touch. Leave in to muffin tray to cool slightly before transferring them onto a wire rack to cool completely or eat them when they still slightly warm – delicious and yummmy scrummmy! 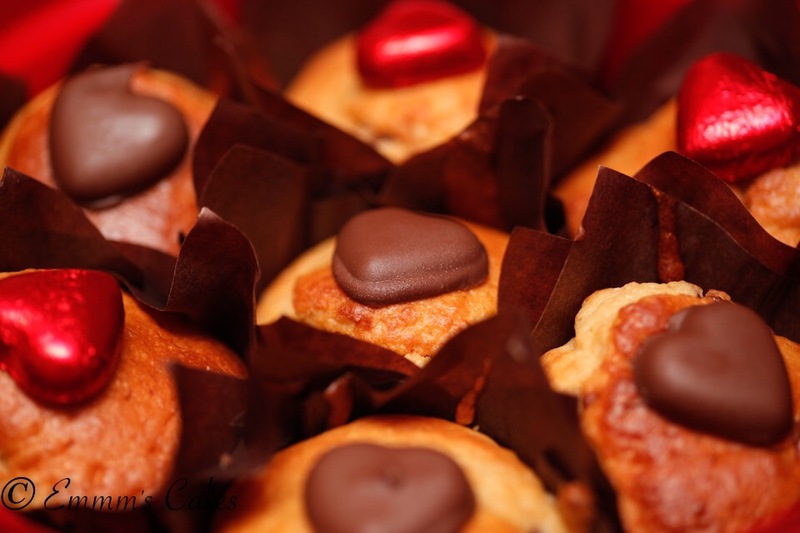 With these muffins, I decorated with solid milk chocolate hearts. I placed the hearts on the moment they came out of the oven so they melts slightly to help the hearts stick. This week I thought I would spread a little love as Valentine’s Day not far away. I thought I would make my classic shortbread heart cookies. These cookies are very simple to make and taste truely wonderful. These are a great treat or a perfect gift for that Valentine…? 200g plain flour, plus extra for rolling. Line 2 baking trays with grease proof paper. In a bowl, cream the butter and sugar together well. Gradually add flour. You may need to use your hands to kneed the mixture by the end. Lightly dust a work surface with flour and roll out the dough to about 5mm thick. 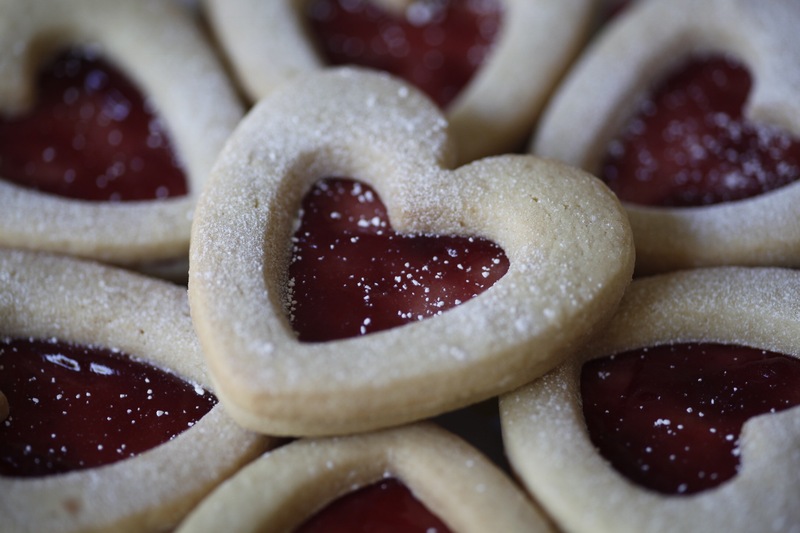 Using a large heart shaped cookie cutter, cut out your shape and place it straight onto the baking tray. Then using a smaller heart shaped cookie cutter, cut out the middle of half your larger hearts. Remember you will need to make pairs as these are sandwiched together. If you accidentally miscounted, never mind they taste just as yummmy on their own. Place the trays in the fridge for 30 mins to chill. This will help the cookies to keep their shape when baking. Remove cookies from fridge and place straight into the oven and bake for 15-20 mins or until the edges go a light golden brown. Allow to cool for 10 mins on the trays and then lift and put them in a wire rack to completely cool. Don’t worry when you get them out of the oven that they seem soft, they will harden when they cool. In a small saucepan, warm a few teaspoons of your favourite jam. This helps it to spend easier. 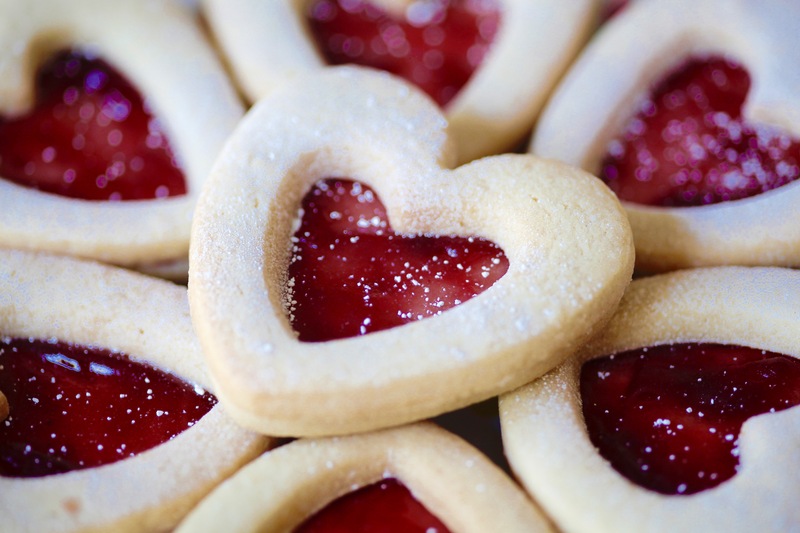 Take your cooled heart shaped cookie (without the heart shaped hole) and spread the jam on and then place the other cookie (the one with a heart shaped hole) on top and allow the jam to go cold setting the cookies together. And there you have it, the best tasting shortbread heart!